When a police force needs a drug-sniffer or a family wants a highly trained dog for protection, they simply can’t walk into a pet store and buy one. That’s where Pacesetter K9 of Liberty Hill is ready with a variety of highly trained canines for law enforcement and individuals. 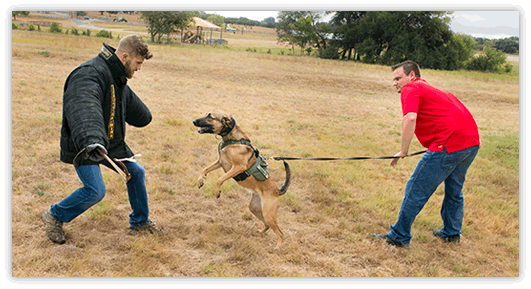 Founded in June of this year by Navy veteran Brad Langham and his wife Michele, a narcotics officer on a central Texas police force, Pacesetter K9 provides dogs for police departments as well as for personal protection for individuals and families. 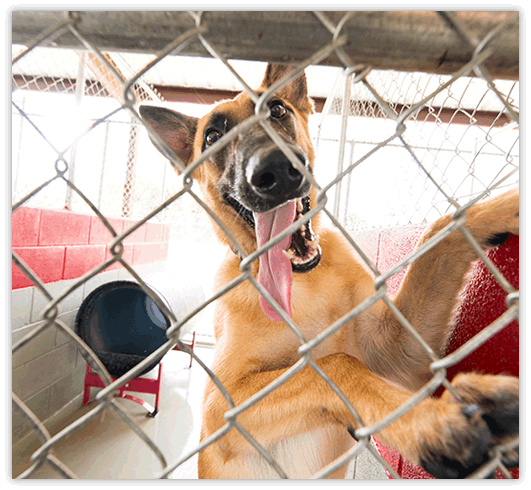 Their new facility just off of Texas State Highway 29 includes kennels, classrooms, training areas and a dormitory where police officers from around the country reside while acclimating themselves to their new canine partners. "We favor breeds known for their high energy and ability to work," said Michele. "We put a lot of effort into getting the right dogs. I travel to Europe to personally select the canines from specialty breeders there." The dogs are eager to please and are rewarded for good performances with approval and treats. Depending on the need of a client, they are taught tracking, narcotics recognition and home defense. For real-world training experience, Pacesetter K9 does ride-alongs with local police as well as volunteering its services to do narcotics sweeps at area halfway houses and schools, where residents and students understand that these skilled sniffer dogs may show up at any time, making illegal narcotics possession problematic. The company is also a supporter of 4 Heroes Charity, a non-profit that provides police dogs to law enforcement agencies. Brad learned his craft during eight years as a Military Police K-9 officer. In that time, he made two combat deployments to Iraq and was promoted to kennel supervisor where he was responsible for 10 K9 teams. Upon leaving active service in 2010 (he remains in the reserves), he pursued a related career in the private sector and worked for a company that provided dog training for police departments and personal protection. Michele was the Central Region’s Narcotics Officer of the Year in 2012 and stays up on the latest trends and legislation in the field through ongoing training. It was always their vision, though, to have their own company. Making that happen was difficult at first. 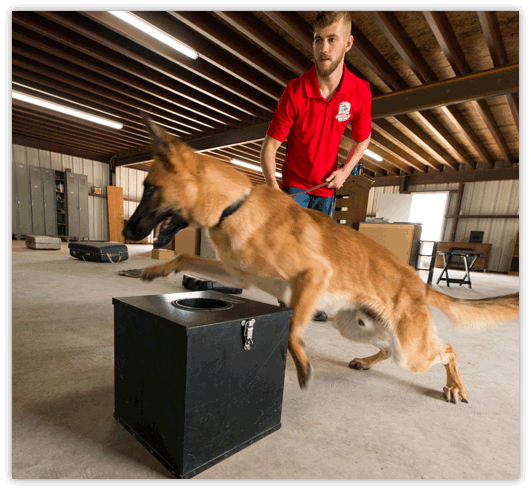 They feel that helped turned their dream of opening Pacesetter K9 into a reality. “We are very grateful for the opportunity Amplify has given us,” added Brad.